There are some very famous celebrities in Korea, and most of them live somewhere in Gangnam, Seoul. 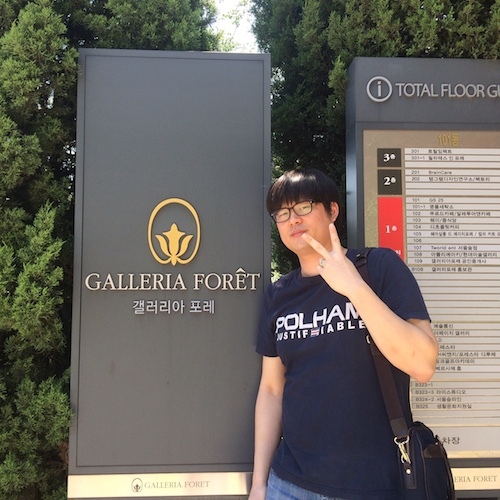 So, it’s a good thing that Flower Gift Korea is located in Gangnam, Seoul as well! People all around the world love Korean Pop music and even idolize some of the stars. Some people love them so much that they are willing to send them gifts from places outside of Korea. I visited a Korean Flower Shop website that claimed that they would send flowers to celebrities at concerts, but I don’t see how this could be true. Think about it, to get close enough to the celebrities, you will need to have front row tickets or backstage passes. Then the celebrity has to be willing to accept your flowers, which most likely won’t happen unless you force it into their hands yourself. Also, they have to go home after and will have nowhere to put your flowers. Also, imagine carrying a lot of flowers home after performing, it’s going to be hard work! In the end, the flowers won’t make it to the Kpop singer’s house and your gift will be long forgotten. 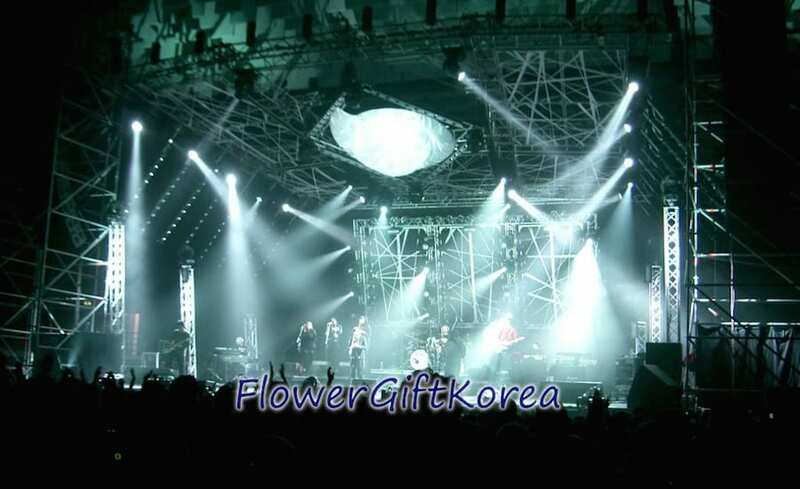 I would advise you not to believe that an online flower delivery service in Korea can get the flowers into the hands of the celebrity at a concert. Your only chance is to get them delivered to their house or to their agency. Actually, it is possible to send flowers to celebrities performing in theater type productions like musicals. 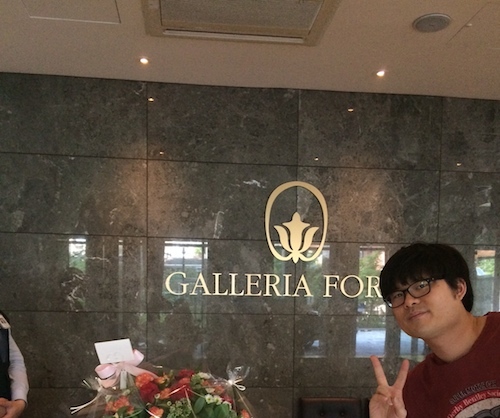 We have been able to deliver flower baskets to Art Theater Centers by leaving the presents at the information desk. However, depending on where the concert is being held, you may or may not be able to leave gifts for “KPop Stars” at their performances. The question you should ask yourself is, “Is it even possible to send flowers to celebrities in Korea from another country?” The answer in short is, yes, you of course can, but it can be tricky, and it can be a little risky. If the celebrity is well known, it isn’t too hard to find out where the celebrity lives. However, it won’t be easy to find out which room number the celebrity lives in. But, that won’t stop you from getting your flowers to the celebrity. For example, we received a flower order from Panama for G-Dragon. G-Dragon is probably one of the most popular K-Pop artists in the world. He is a member of the group, “Big Bang” and has a bunch of solos. It seems impossible to send flowers to G-Dragon, but it is possible. However, it is not easy because G-Dragon can choose not to accept the flowers you send. We got really lucky the first few times and were able to leave gifts for G-Dragon at his home and at the YG agency. However, now, you must have approval from G-Dragon’s manager first, and then you can drop off the gifts at the YG agency. Gifts will not be accepted if you visit G-Dragon’s house or if you show up at the YG agency unannounced. Note: Send flowers and gifts to celebrities at your own risk. Flower Gift Korea provides a money back guarantee, but we can’t provide that guarantee for celebrities because they can choose to reject your gift. So, what usually happens for gifts sent to celebrities is that the front desk asks for the name of the Flower Store (Flower Gift Korea), and the name of the person who sends the flowers. They then notify the celebrity about the gift. If the celebrity wants, they could allow for the security to let the visitor up and hand the flowers themselves, but what mostly happens is that security takes the flowers up themselves. For G-Dragon, the security at the front desk asked for the name of the sender, the name of our Flower Shop, and then placed our flower in a separate room, sine G-Dragon wasn’t there at the time. Or maybe he was there and they were just trying to keep him safe. Unfortunately, big name celebrities like G-Dragon are very very busy, so if they don’t recognize your name, they most likely won’t rush to see it. But, they do see who has sent the gift and decide what happens to the gift. So, that’s why you’ll see them thanking other celebrities for their gifts on instagram and other SNS platforms. 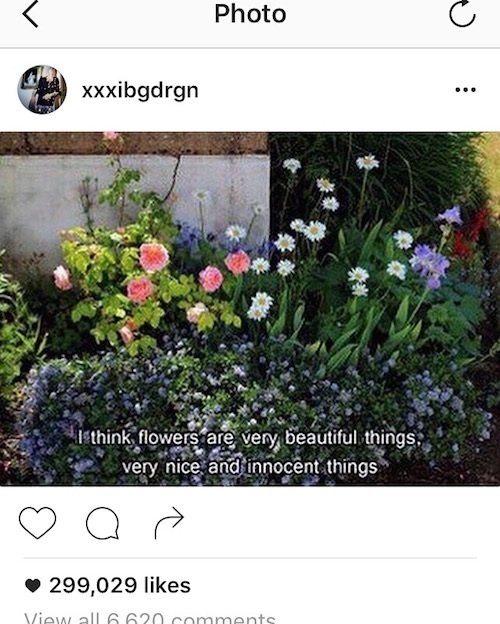 Here is G-Dragon’s Instagram post on the same day I delivered these flowers, a few hours after I left his apartment. You can even check the day and time of our instagram post “flowergiftkorea” of leaving the flower and the day and time of G-Dragon’s instagram post. Boy bands are often on tours and can be out of Korea for long periods. If you are going to order some flowers to be delivered to your favorite singer in Korea, make sure you know that the singer is in Korea at that time. That way he or she will know that you sent flowers to him or her. Depending on how big the celebrity is, she or he will receive a different amount of gifts everyday. That means they may or may not have a lot of gifts to look at. Maybe one day a celebrity will receive 20 gifts and another day the celebrity will only receive 1, your hope is that your gift is sent on a day that the celebrity only receives one. That way you have a better chance of the celebrity truly appreciating your gift. However, it’s impossible to know when this will happen. 1. Do Not Send Food To Celebrities. There is a good chance that the celebrity will not eat it, so don’t waste your time on cooking something. Just think about it, if some stranger on the street came up to you and offered you some food, would you eat it? Probably not, and the same goes for celebrities. Also, celebrities are often on strict diets and won’t be able to eat foods that they normally would. Some celebrities in Korea are very popular and it is near impossible to give them gifts. The more and more popular a Korean celebrity gets, the more likely they won’t want to or be able to accept gifts or flowers from fans, unless you see them on the street and try to force it into their hands. But, they still do accept gifts through some fan club owners. We were asked to deliver a bunch of gifts to the Kpop group INFINITE by delivering flower baskets, chocolates, and wine to the owner of a fan club. The fan club owner then delivered the gifts to the Korean Idol group. All Korean celebrities have managers who are pretty much the gatekeeper to them. 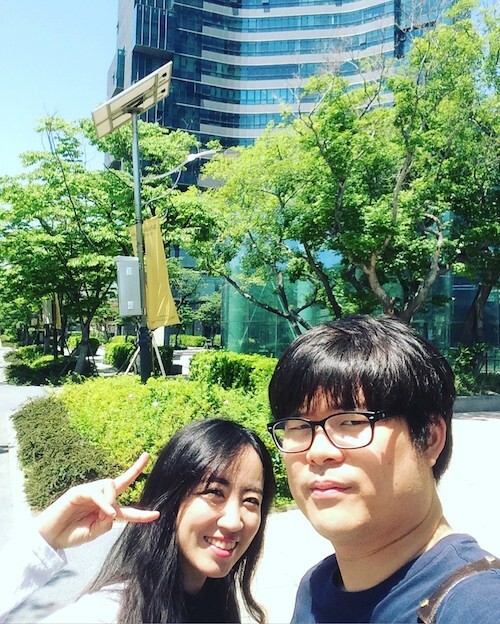 If you can get the manager of your favorite celebrity to like you by sending him or her some gifts, he or she might help you deliver some gifts to your favorite Korean celebrity. You can also send boxes of gifts to celebrities in Korea, but they are all inspected by other people before getting to the celebrity. If you are thinking of sending flowers to your favorite Korean Pop Singer or Celebrity, make sure you get the exact address of the person. It is of course best to know the phone number and email of the person, but it may not be possible. If you don’t have any contact details of the celebrity and the celebrity isn’t that popular, it will be really difficult to get the flowers to him or her. But, if they are a big name celebrity like G-Dragon, it’ll at least get to the security screening process and he’ll at least hear/see your name on the list of gifts he or she receives. If you are thinking of sending flowers to your favorite celebrity in Korea, contact us and ask us to help you! However, you must realize that the Korean celebrities can choose not to accept your gift. And it’s not to say the celebrity doesn’t like you, but that particular celebrity may already be getting so many gifts to deal with or isn’t allowed to accept gifts.